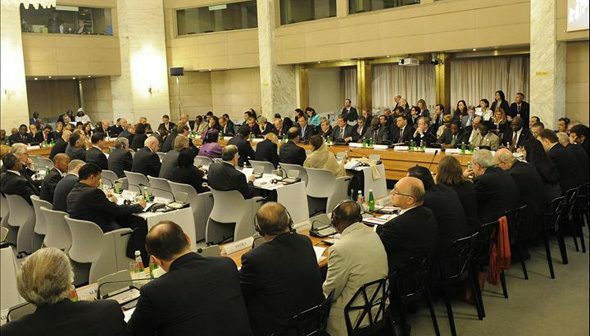 On Monday 16 May the Italian Foreign Ministry held a conference on Global Governance and Security Council Reform with 123 countries represented by ministers and representatives to share their views. The aim of the conference is the backdrop of a quickly changing world and a need to adapt the United Nations Security Council accordingly in the name of good global governance. The Minister of Foreign Affairs of Italy, H.E. 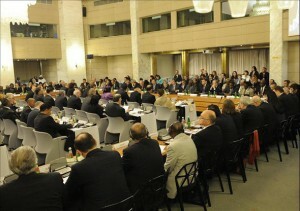 Franco Frattini, chaired the Forum in Rome, and gave remarks in which he pointed out the motivation of the meeting, noting that, â€œdialogue and a spirit of compromise are the only way to arrive at a reform.â€ He then presented the three issues of the conference: Regional Dimension, Methods and Procedures, and Principles for Representation. H.E. Frattini then asked H.E. Dr. Zahir Tanin, Chair of the Intergovernmental Negotiations on Security Council Reform and Permanent Representative of Afghanistan, to share his views.Â Ambassador Tanin spoke about the Security Council reform process and its current developments as well as the necessary principles to guide the way forward. Others spoke generally giving their countriesâ€™ positions on the process and reform. Just days earlier, on the Margins of the Doha Forum in Qatar, the Foreign Ministry of Qatar hosted a workshop on Security Council Reform on 12-13 May. Nearly 40 diplomats as well as experts from academia and NGOs participated. H.E. Mr. Muhammad A.M. Al-Rumaihi, Assistant Foreign Minister of Qatar gave opening remarks in which he highlighted the importance of Security Council Reform for international stability. He then gave the floor to H.E. Ambassador Nassir Al-Nasser, Permanent Representative of Qatar to the UN, who highlighted the purpose of the day and a half long workshop, to be an informal exchange of ideas between different positions on Security Council Reform and the way forward. Ambassador Tanin shared his perspective before chairing the meeting. He recognized that the meeting was unique in that there was a combination of representatives from Missions and capitals as well as members of NGOs and Academia.Â In that regard, he expressed optimism about the open-minded nature of the debate that would ensue. Throughout the course of the next day and a half, participants shared their perspectives.Â It was repeatedly expressed by diplomats that it was refreshing to hear the perspectives of â€œoutsidersâ€ from NGOs and academia, who were able to speak candidly about their views without the limitations of diplomacy. Several workshop participants also expressed that the event allowed them to better understand each othersâ€™ views. 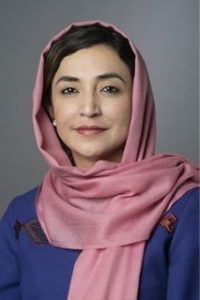 â€œIt was important for the diplomats involved in the process in the formal track of the Security Council Reform to have a very informal and friendly forum to brainstorm, to take a breath, and create a friendly atmosphere to discover some of the gaps and commonalities in order to inform their work going forward,â€ said Tariq Al-Ansari, Counselor of the Qatar Mission to the UN, and the coordinator of the workshop. 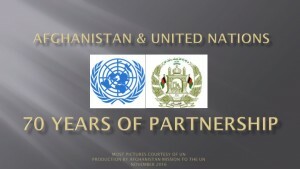 Both events represented Member State efforts to discuss the reform process, but it was overtly recognized at both that the only forum in which real negotiations about Security Council Reform and in which decisions can be made on the issue remains in the General Assembly.